Hammer and chisel - removes both the shoulder and the threaded portion. Drilling is full of potential problems and a last resort. I did - twice over. And, you still don't know if the thread is seized. 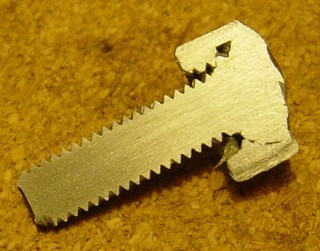 If it is, and you remove all of the remaining head it will have to be drilled through to remove and possibly re-tapped. And all the swarf will find its way to the ABS sensor requiring hub removal to clean. Chisel first, drilling as last resort. Using normal drill bits will just make it worse. Use my method. Works each time. 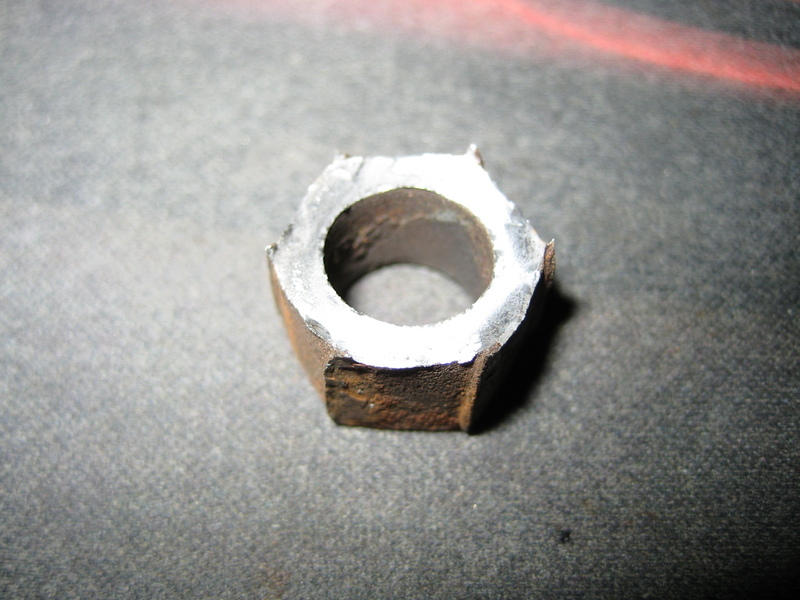 Drill and chamfer out a suitably large nut and MIG weld that to whatever remains of wheelbolt. The heat will free bolt so it will come out with ease. Make sure to centre nut in case wheel has a deep recess. 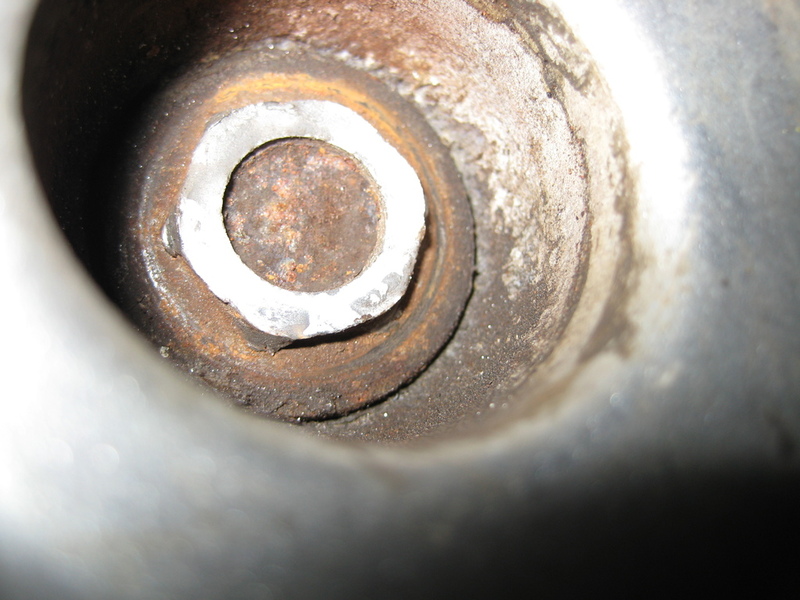 Above bolt used to hold a clutch actuator in place hence size M6. 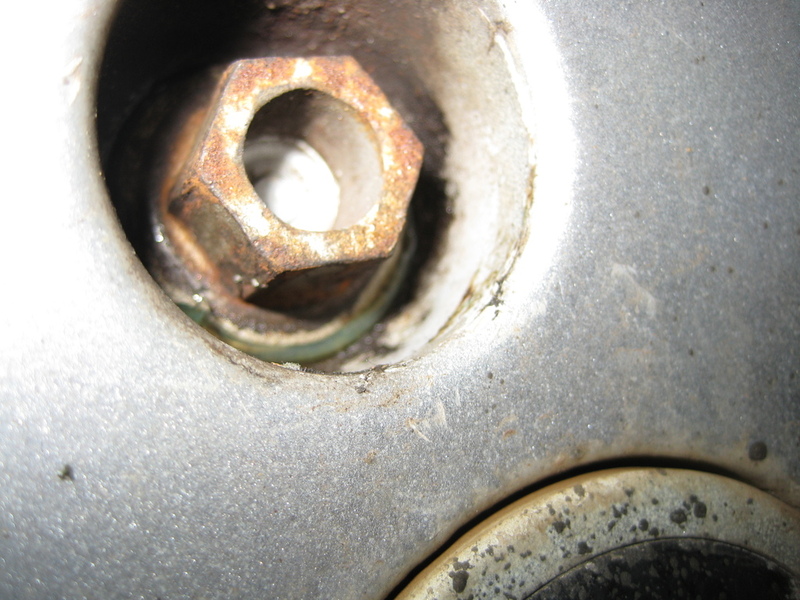 I have used same method to remove dozens of rounded keyed locking wheel bolts given up by garages. 1) Use a drill guide if drilling plus use coolant and drill at slow speed. 2) The threads (if a 450 or 451) will be too hard for any tap to clean up so do not attempt. You will only damage or break a costly tap. I'd doubt that a left hand drill would eventually the remnants of a bolt that was tight enough for its head to shear off before undoing. I'd drill the head off with a normal right hand HSS drill .... obviously being careful not to drill that deep that I got as far as the wheel. Once it's had its head removed, the rest of the bolt should just unscrew with Vicegrips.